It’s citrus season!! What are you putting up? During the frigid season of winter I look forward to two things: seed catalogs and citrus fruit! Clementines may just be nature’s perfect fruit. Underneath their thin-skinned peel lies a juicy-sweet, seedless burst of delicious sunshine! Of all the citrus, clementines are my favorite! Having never made marmalade, I felt the time had come to embark on that adventure. 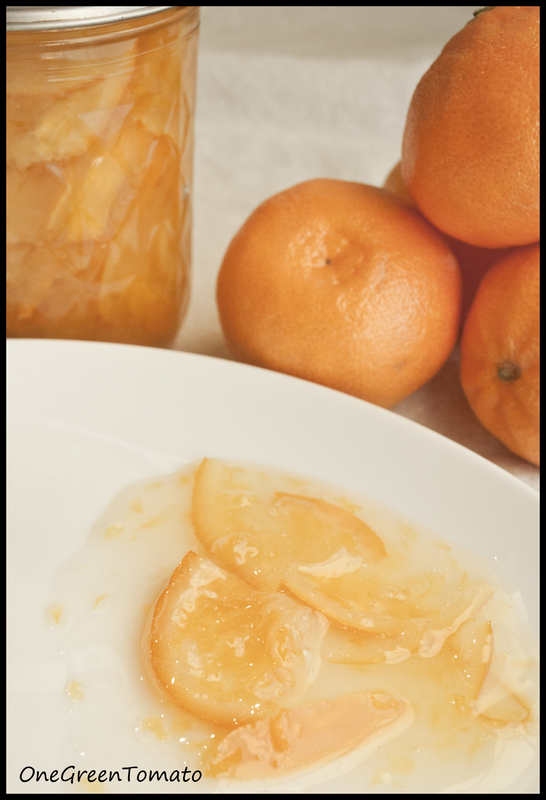 Since citrus peels are naturally high in pectin, I decided to rely on this fruit’s own ability to achieve a semi-firm set and added just a touch of clear jel. The consistency that resulted was perfect! Day 1 Wash clementines and place in the fridge to chill; this helps to firm them up. Cut fruit into halves then slice very thin. Cut each slice in half to create small thin triangles. Combine clementines, 3 cups of sugar, and lemon juice in a thick-bottomed pot and bring to a simmer. Remove fruit mixture from heat and transfer to a bowl; cover, cool, and place in the fridge overnight. Day 2 Place fruit mixture back into a heavy-bottomed pot and bring to a light simmer. Mix clear jel with 1/4 cup sugar, then add to the hot fruit mixture stirring well to incorporate. Bring to a boil while gently stirring. Once mixture begins to thicken (5 minutes) ladle into hot, sterilized half-pint jars, wipe rims and adjust two-piece lids to fingertip-tight. Process in a boiling-water bath for 10 minutes and allow to cool on a wire rack, undisturbed, for 12-24 hours. Wipe jars and store in a cool, dark place for a year. © One Green Tomato. All rights reserved. Originally published by Danielle R. Limoge for One Green Tomato. Blog content cannot be republished, distributed or reproduced without express written permission.